Dr Saleh Alkadi is our specialist Oral Surgeon at Frazer Dental. He is well known for his warm & calming manner. He carries out the complex wisdom teeth & surgical extractions in our practice , offering IV sedation to our patients from age 12 upwards & he places the dental implants in our practice . He also offers a tongue tie repair service which is particularly important for newborn babies who are having difficulties breastfeeding. He graduated with honours from Jordan University of Science in 2010. In 2011, he became a member of Royal College of Surgeons in Ireland, he was also awarded membership of the American National Dental Board in 2012. 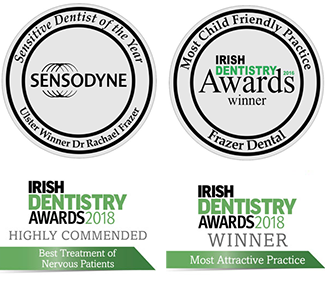 In 2014, Dr Alkadi began his specialist training programme in Oral Surgery at the Dublin Dental University Hospital, St. James’s Hospital and Mater Misericordiae University Hospital . 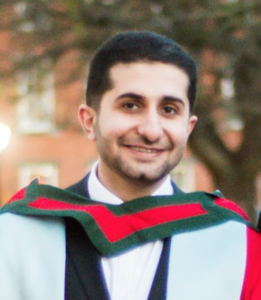 He was awarded a Doctorate degree in Oral Surgery from Trinity College Dublin in 2018. He is registered with the Irish Dental Council & is on the Oral Surgery Specialist List. Dr Alkadi provides the full spectrum of oral surgery and implant dentistry under local anaesthetic & IV sedation. Dr Alkadi’s friendly approach helps our patients feel relaxed . He provides IV sedation for our nervous patients & is up to date in advanced cardiac life support to ensure the highest level of patient safety at all times. Dr Alkadi is registered with all private health insurance providers : VHI , Laya , Glo Health & Irish Life which means you can claim the costs of treatment back through your health insurance provider.